If you’ve just started a new blog or website, you must already be aware of the importance of getting it ranked quickly and effectively on Google. While there are other traffic sources, Google is still the number one search engine with, huge 77% market share. For many businesses, it’s their only source of traffic. So, if you’ve got a new blog and you want to achieve a high rank for it, you’re in the right place. 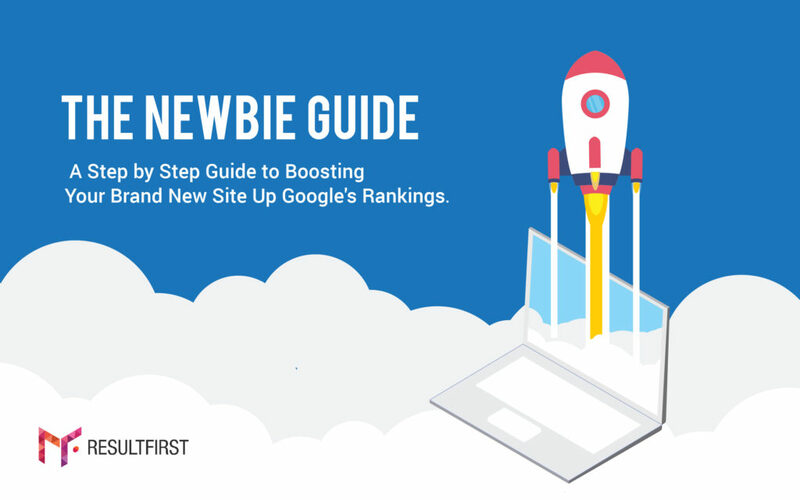 We’re going to give you a step by step walkthrough of exactly how to rank your site effectively on Google. Why is Google still so important? While there are other sources of traffic that are extremely relevant, Google is still the best. When I first started trying to market my new blog, I didn’t realize how important Google was going to be for me. I thought that I could get traffic from loads of different sources without placing any extra emphasis upon Google. I was wrong. The reality was that when I managed to get a rank on the first page of Google, my visitor numbers went up dramatically. If you just miss out on the first page on Google, you might as well be nowhere! Research shows that 11th place on Google (top of the second page) only gets around 1% of the hits for that search. What that means is – if you’re trying to rank for a term with around 10,000 monthly searches, failing to get on the first page could at best get you around 100 clicks. If you’ve got a conversion rate of around 2%, this translates into two sales a month. Is that enough to make your business viable? Before we get deeper into how to rank your site – let’s have a look at why keyword selection is so important. If you want to make your ranking efforts a success, you need to target the right keywords. So, before you start optimizing your content or looking for backlinks (we’ll get to that), you need to know which keywords to target. There are a number of tools available that’ll help you do this, including Google’s very own keyword research page. The idea is to find a keyword that can generate high search volumes and thus ensure heavy traffic for your bolg or site. At the same time, the keyword should only face moderate competition, so that it is able to rank high on a search page. 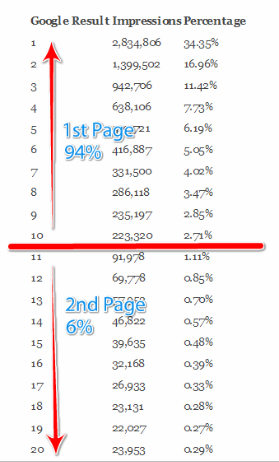 Obviously, it is harder to get first page rankings for the highly competitive terms . If you’re new to the ranking business, try and go for more niche terms that are less competitive. Don’t just pick one keyword, choose a few so you can mix them up when you need to. If you’re looking to make your keyword selection more niche by adding “long-tails” to the end of broader terms – make sure you target active long-tails rather than the passive ones. One great example of such addition is “discount”. It effectively targets and engages people who want to save on their shopping. If you can help them with their saving targets – you could make a sale. Other great additions are things like the current year. With tons of outdated information available on the internet, people like to add this to ensure that they’re getting the most relevant and up-to-date information. Try and avoid additions like “free” as these largely encourage people who are looking for a free ride. People think there’s a shortcut to this and that they can play the system without creating good content. There isn’t. This might have worked in the past, but it doesn’t anymore. You’ve got to create relevant, high-quality content. Not only will this be more shareable (giving you more SEO juice as other people post links to it), but Google can also recognize quality these days. You shouldn’t overlook the power of getting other people to share your content. Content sharing acts as an effective marketing tool and thus, helps in getting quality backlinks. – . But, all this can only be achieved with great content. So when you create your content – make sure it’s good. Also, keep the keywords you already researched in mind and mention them enough in your posts. Not too much, but just enough – and use them in headings occasionally if you can. One thing that Google looks for when trying to rank a page is its sitemaps file. Make sure you’ve got one and that it’s kept up to date (there are plugins that’ll do this for you). Your sitemap will notify Google of any changes so that it knows when to rank new posts or pages. Before we start looking at off-page SEO (backlinks), you need to make sure your on-page optimization is completely sorted. Hopefully, you’re already using your keywords in the posts you create, but you also need to make sure everything like META tags and descriptions is filled out and all your on-page content is fully optimized. Don’t worry – the highly popular Yoast SEO plugin will guide you through this in WordPress so that all your posts are optimized for the right keywords with the right metrics and densities. If you really want to get your site noticed – you need backlinks. Backlinks allow Google to assess the relevance and importance of the web pages on their subject matters. While earlier, it was possible to spam backlinks from various sources to boost your site up the Google rankings, you can’t d that anymore. Now, You need to abide by quality. Try partnering with relevant authorities in your domain in exchange for backlinks. Not only do these give you great link juice, they’re also great for relevant residual traffic. You can also offer testimonials to other relevant authorities in return for a backlink. Post your content to social bookmarks and other social media sites. Make sure, you use the keywords you had picked as anchor text – but vary it a little instead of using the same one again and again. One great way to get good quality backlinks is to look for the mentions of your site or brand that don’t include a link. Try to “recapture” thereby reaching out to their authors and requesting them to add an anchor link to their mention. Don’t fall for those gigs on Fiverr that offer 10,000 links instantly. These seem too good to be true because they are!. Using these methods can actually get your site penalized or even blacklisted from Google. Hopefully, these tips are enough to get you started on your way to ranking success. Peter Ellington has years of experience writing about his knowledge on internet marketing and other related issues. He also knows how important the right education can be before you enter the business world and that a higher level of schooling and teaching can make a huge difference in your success after graduation. Peter has started to see how more and more successful businesspeople are multilingual and can, therefore, prosper in a global economy. That's why he also helps out a home tuition blog, https://smiletutor.sg/blog. It is always good to read you post.this post has a great topic to read so keep posting post like this.